Today, I’ve just about completed the casting for the dinosaurs starring in a new story set in the Jurassic. The competition for a role in my story was tough, as I’ve said “sorry, no” to Allosaurus, and Stegosaurus, and the entire herd of Apatosaurs. I mean, impressive as they are, haven’t we all seen these guys enough already? Besides, some fresh-faced discoveries are coming from China, and are they ever strutting their feathers. 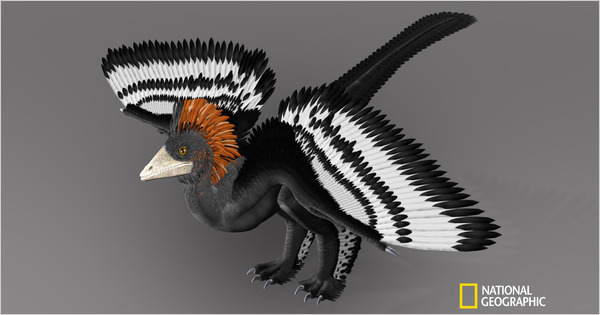 For example, Anchiornis huxleyi showed up for the audition sporting long black and white feathers on all four limbs, rather like a mutant chicken. Next, little Epidexipterxy hui, dropped out of the trees and wowed me with a set of upper and lower fangs that any vampire would envy. Even the modest little ornithopods are more than they seem. Naturally, one can never discount Juramaia sinensis, the mammal that just might steal the show. In other words, I’ve been doing research. But don’t suppose that means the next step will be plotting, to be followed by writing. No indeed. I had already sketched out six scenes and written 5000 words before most of the non-human cast arrived. You see, when I’m enthusiastic about a project, I start writing as soon as any characters or critters start doing interesting stuff. Put another way, just as character and plot are intrinsically intertwined, I find that so are researching, plotting, and writing.